In the northeast, winter days can seem to drag on after the holiday season. Snowstorms seen to occur every three days and a constantly blowing wind chills the air to -10oF. It’s the type of weather that makes you wonder why humans don’t hibernate. While we can’t control the seasons; winter will always bring shorter days, the moon will revolve around the earth and the earth will revolve around the sun, we can change our mindset and that is what maple sugaring is about. The maple sugaring season is almost a spiritual experience that lifts you through the last doldrums of winter. It ignites every sense. Imagine hearing the taps of sap into a metal bucket hung on a tree, the sweet steam lifting off the evaporator immersing your nose in warmth, the crackling fire fueling the evaporator, and of course the sweet taste of liquid gold. The whole experience does not occur unless the right weather conditions are present. The release of sap in the spring is a sign that the trees are finally waking up from their winter rest. The ideal sap running conditions are warm days and cold nights. This temperature fluctuation causes the sap to run up and down the tree each day. 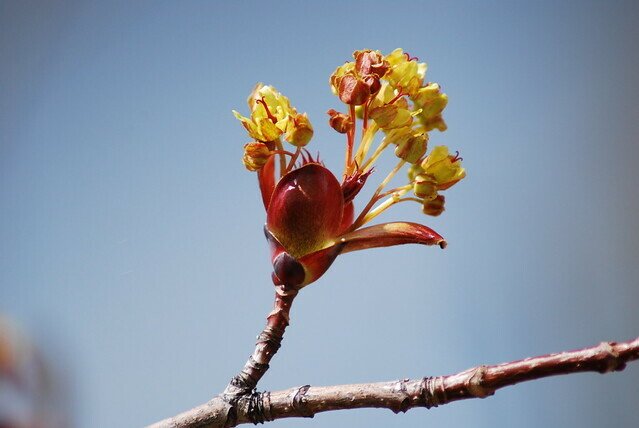 The maple season may only last for as little as ten days, but they are an intense ten days. Intense because of the time needed to collect and boil down the sap, and it is the boiling down of the sap that takes the most time. Do you ever wonder why pure maple syrup tends to cost five times more than pancake syrup? It because it takes 40 gallons of sap to make one gallon of pure maple syrup! There is a lot of energy involved to boil down the sap that contains 2% sugar to the sticky syrup containing 66% sugar content. Everyone around helps collect sap, tend to the evaporator, and bottle syrup. Tremendous effort goes into each gallon of syrup and it is all worth it in the end. There is no better feeling than creating something from start to finish and enjoying your success with the ones you cherish. There are signs in nature that tell you when the maple season is over. The temperature stays above freezing during the night ceasing the sap to run up and down the tree. The buds on the trees start to burst open and the sap turns cloudy and is less sweet. A natural siren goes off-spring peepers serenade the woods as they emerge from their winter hibernation. It’s a bittersweet ending for the sugaring season. The transformation of sap to syrup is over for the year, but now the forest has come back to life and it is time for spring. Learn more about maple sugaring by attending a program at a state park near you! 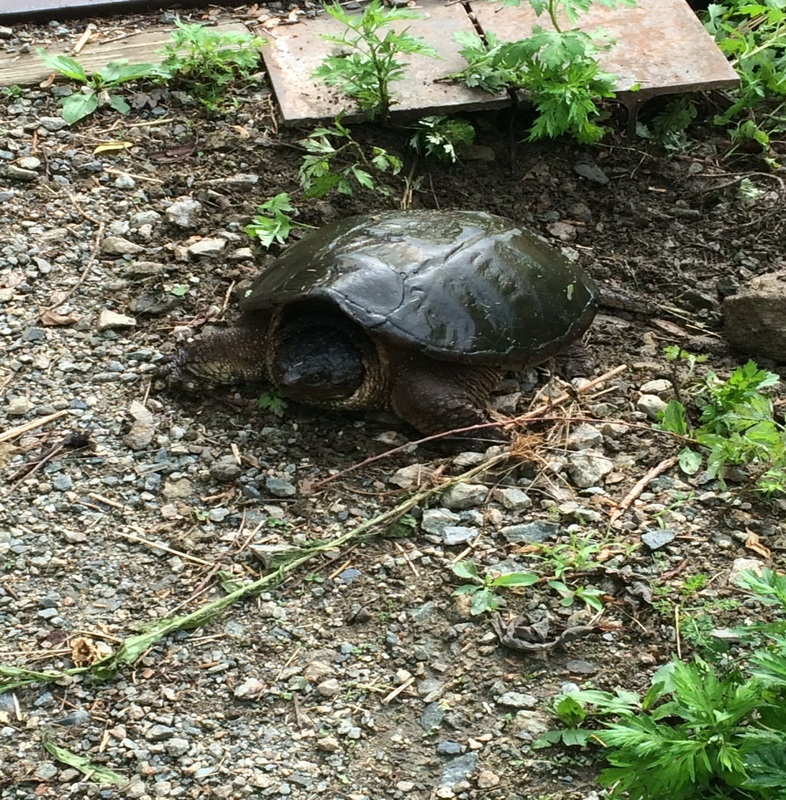 Almost every state park facility in New York has a trail system. As such, it is important that each park have a trail map so visitors can find their way around. Several steps go into creating a trail map including: talking with the park manager, going into the field, and analyzing the data. The best way to obtain data is by using a Geographic Positioning System (GPS) unit. Parks uses the Trimble GeoXT, which makes a digital map as it collects points, documenting the route travelled as well as any important features. This particular unit comes with a backpack-mounted antenna to increase satellite reception, which is important in heavily wooded areas. 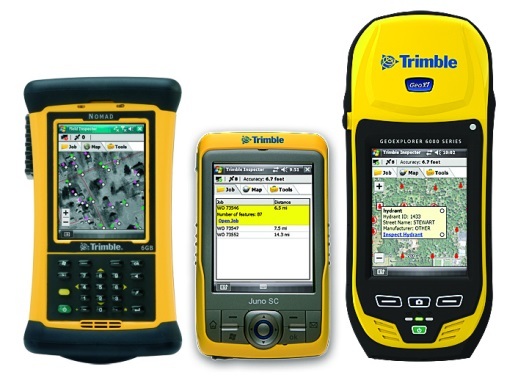 Trimble GPS units. 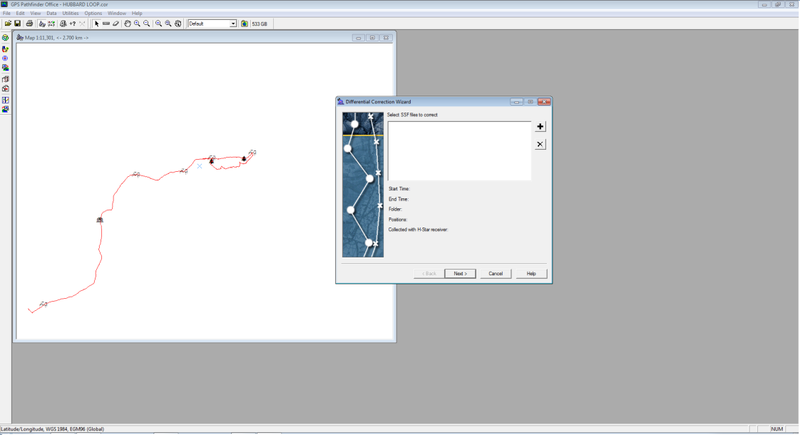 The GeoXT, on the right, creates a map in real time. The GPS captures lines and points, takes pictures and is water resistant. 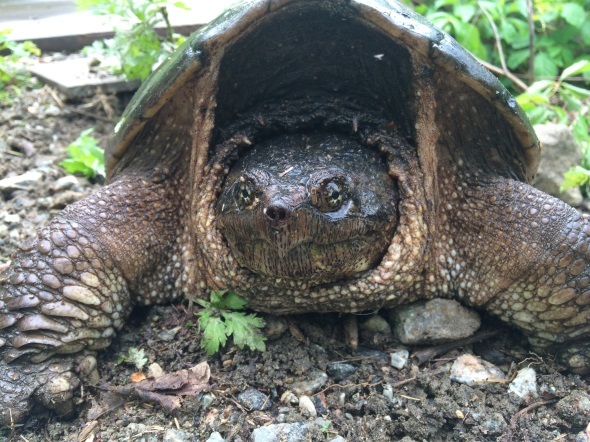 The first step is to talk with the park manager about what he or she wants. It may be that the park has no trail map, only a small portion needs to be updated, or the park is seeking approval on a proposed route. Before heading out, the surveyor uploads reference data to the GPS including park boundary, existing trails and any other useful data. Then, they go the park and start hiking. 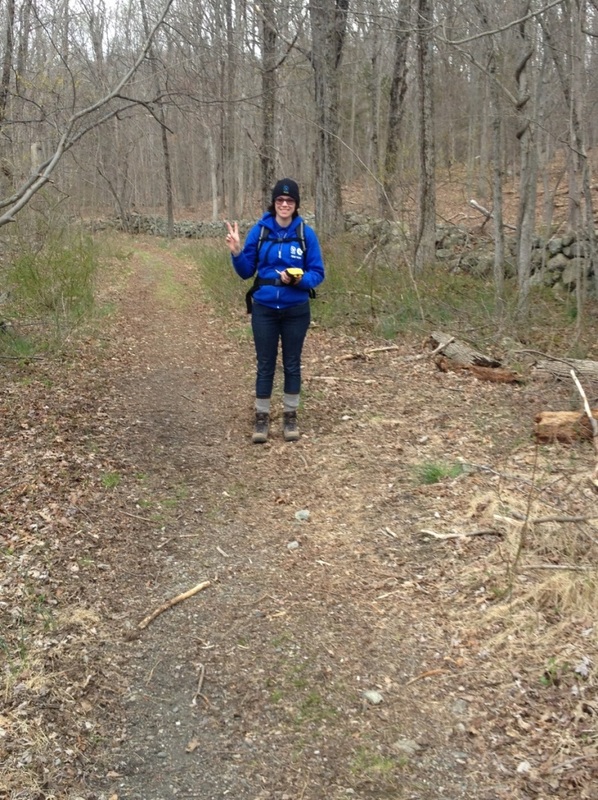 Maddy Gold collecting data in Clarence Fahnestock State Park. In the field, it is important to document every trail, even if it is not an official trail. This is important for rescue teams trying to locate an injured person within the park. Other notable features to collect include: scenic views, picnic areas, restrooms, parking lots, bridges, eroded areas, blaze color, and more. When the surveyor is confident they have collected all relevant data, they take the data back to the computer and put it into a program called GPS Pathfinder. This program corrects for any inaccuracies in satellite reception by matching the points against current imagery. GPS Pathfinder Office with data and Differential Correction Wizard. This software corrects for satellite discrepancies and produces the most accurate data possible. The last step is to put the corrected data into GIS (Geographic Information Systems). This program allows the surveyor to produce a map using the features recorded on the GPS. With all the information about the park in hand, the surveyor sends a draft of the trail map to the park manager. When the park manager is satisfied, the map can be published for use by the public. 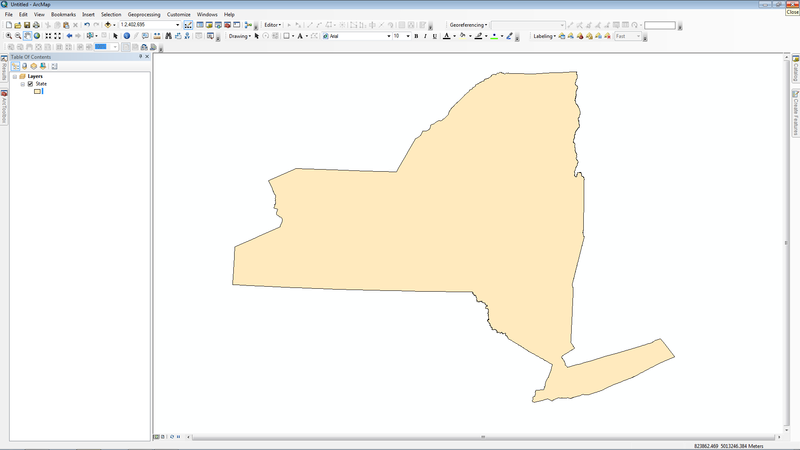 ArcGIS window showing the shape file for the state of New York. Post by Maddy Gold, OPRHP SCA Intern.